Genetic modification is favored in health but not for food. Convincing people to eat genetically modified food still has a long way to go to gain majority acceptance. Yet, just about everyone is in favor of using gene technology to treat health problems. This is a strange anomaly. Gene manipulation of any kind will change the world we live in. Once a change has been made and it spreads through the environment it is there forever. Drug companies admit they have lost the war in Europe. 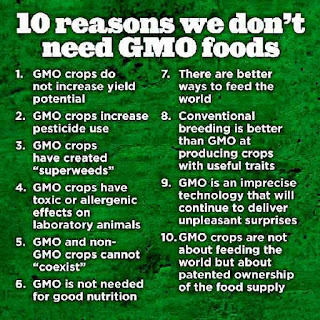 There is no way that GM food will ever be accepted there. It is largely an emotional decision, not scientifically based. Possibly, in the near future, Europe will ban DNA experimentation in health as well. This will be counter-productive. If money is invested in nations that welcome gene science then the environment will change anyway because we all live in the same world.